Refreshing autumn breezes bring cool, crisp days and the invigorating promise of another wonderful Feast of Tabernacles. Families from around the world are gathering enough belongings for an eight-day stay in the Golden City of Jerusalem, where Yahshua the Messiah now reigns. Many are already en route. Vast crowds are coursing along roadways, singing praises and anticipating the coming days with unspeakable joy. The atmosphere is much like jubilant Israel leaving Egypt to keep a Feast for Yahweh (Ex. 5:1). The “old days” of the 21st century, when obedient celebrators numbered only in the few thousands, pale in comparison. Those keeping the Feasts back before the Kingdom came to earth could never have fully appreciated this breathtaking drama — everyone from across the planet obediently going in an unending stream to Jerusalem! Finally, after millennia of ignorance, persistent resistance, tired old excuses, procrastination and indecision, people everywhere are traveling to the place where Yahweh commands all people to be in this seventh Biblical month. They are coming to keep the great Feast of Tabernacles, the highlight celebration of the year. Their happiness is indescribable! And why shouldn’t they be joyful? At long last, an entire world is being blessed of Yahweh for submitting to His laws and commands. After millennia of human rebellion, suffering and misery, universal gladness and peace reign under the righteous law of the King of the universe! Man’s hollow holidays are no more. Now all worship will be Yahweh’s way. If you think this is some fantasy from the imagination of some movie script writer, you had best think again. What you have just read is as real as tomorrow – and nearly as close. It is a description of the millennial Kingdom of Yahweh come to earth. Thousands of years of human chaos and injustice will have ended. Finally the earth will be cleansed of the rebellion and sin that began in the Garden of Eden and continued through 6,000 years of misery and pain. In the Kingdom ruled by Yahshua, men will no longer have the opportunity to ruin their lives and the lives of others through defiance of the Creator and His laws. Yahweh will at last take full control, and everyone will obey Him! In the first year of Yahshua’s millennial reign, in the seventh month, people from around the world will fulfill what the prophets of old foretold. The scene will be the same everywhere – one dwelling after another will be vacant for eight days while residents of cities everywhere leave home for the annual Feasts. Miraculously for the travelers, the typical problems and hindrances will disappear as quickly as they crop up. Priestly guides will assist them along their way to the great city to worship the King, Yahweh of Hosts. This kingdom of righteous priests will be composed of True Worshipers who were obedient to Yahweh in our day, before Yahshua returned, and were taken up in the first resurrection when Yahshua came to earth to gather His elect. Isaiah gives us a glimpse of these resurrected individuals serving as Kingdom priests: “And your ears shall hear a word behind you saying, ‘This the way, walk you in it,’ when you turn to the right hand and when you turn to the left,” 30:21. You can be one of those teachers if you are obedient now. Biblical laws, including the Feasts, will be enforced everywhere by the greatest Power in the universe – Yahweh Himself. Zechariah prophesied, “And it shall come to pass, that every one that is left of all the nations which came against Jerusalem shall even go up from year to year to worship the King, Yahweh of hosts, and to keep the feast of tabernacles” (Zech. 14:16). The prophet Isaiah makes it clear that immediately after the return of Yahshua, once He subdues the earth and establishes His Kingdom, that people will start keeping the Feasts at Jerusalem. Everyone will either comply or die: “For by fire and by his sword will Yahweh plead with all flesh: and the slain of Yahweh shall be many,” Isaiah 66:16. Further down in the passage we read, “For I know their works and their thoughts: it shall come, that I will gather all nations and tongues; and they shall come, and see my glory” (v. 18). And where will they go? Isaiah continues: “And they shall bring all your brethren for an offering unto Yahweh out of all nations upon horses, and in chariots, and in litters, and upon mules, and upon swift beasts, to my holy mountain Jerusalem, says Yahweh, as the children of Israel bring an offering in a clean vessel into the house of Yahweh” (verse 20). Those who rebelled against Yahweh and refused to keep His Feasts will have their own infamous epitaph: “And they shall go forth, and look upon the carcases of the men that have transgressed against me: for their worm shall not die, neither shall their fire be quenched; and they shall be an abhorring unto all flesh” (Isa. 66:23-24). All the scoffers, including those who today strenuously resist the keeping of so-called “Jewish” Feasts, are going to be either humbled or eliminated. It is their choice. Millions will be forced to admit that Yahweh’s people were right when they kept His appointed days. Many will be ashamed of themselves for once ridiculing the ways of Yahweh and dismissing His annual Feasts. Remarkably, a key fact usually overlooked is that Yahweh’s Feasts prophetically foreshadow His plan of salvation for mankind! Paul in Colossians 2:16 explains the prophetic importance of these times: “Let no man therefore judge you in meat, or in drink, or in respect of an holyday, or of the new moon, or of the sabbath days: Which are a shadow of things to come; but the body is of Messiah [or, as it should read, “but the body of Messiah”]. Along with some of the other Old Testament commandments, Paul is referring here to Yahweh’s days of worship, like the Sabbath and Feasts. Before we delve into the prophetic message, it is important that we dispel a common misconception. Many interpret Paul as saying here that we are no longer obligated to observe these days. In other words, we are not to be judged on our freedom from these old and archaic commandments. Is this the message Paul is conveying? Not in the least. He says that we are not to allow those outside the body of Messiah, those not in the assembly, to judge us on the worship of our Father in Heaven. Only the Body of Messiah is to judge, Paul says, because they themselves honor these days. They have the right and permission to correct others in the way of their observance. In verse 17 we also find Paul confirming that these days are a shadow of things to come. What does he mean? He’s referring to the prophetic nature of Yahweh’s Worship. He understood that these days were more than times of worship; that they were also of prophetic value. As we will discover, each of these times prophetically foreshadow a special event in our Father’s plan of salvation for mankind. Let us examine each of the seven annual observances that Yahweh calls “My Feasts,” Leviticus 23:2. The word “even” comes from the Hebrew ereb and means dusk or sundown. In Biblical times the day began at sunset. We find that the Passover is to be kept at the beginning of the 14th day of the first month. The name of this first month is “Abib.” In the Hebrew language this word literally means, “young ears of grain” and was the month that began the barley harvest. On this night the death angel went through the land of Egypt and killed the firstborn within those homes that did not apply the blood. Even in the Old Testament it was through the blood that redemption was found. It was on this night that Israel won their freedom from slavery. Paul is describing here the Passover and the role that the Messiah played in its fulfillment. Through his death he fulfilled the Passover. Today He represents the Passover lamb found in the Old Testament. In John 1:29, John the Baptist stated, “Behold the Lamb of Yahweh, which taketh away the sin of the world.” The main purpose for Yahshua’s coming to earth was to shed his blood for the sins of mankind. He also came to set an example for us to follow, but if not for his sacrifice none of us would have the opportunity we have now. Only through our Savior, Yahshua the Messiah, do we find forgiveness and a complete washing away of our sins. If not for his death we would have no atonement and no salvation and would be alienated from our Father in Heaven. Only through our Savior’s death are we reconciled to our Father. This was again the main focus and reason for the Passover – it was had the shedding of blood for the redemption of His people. The Feast that directly follows the Passover is Unleavened Bread: “And on the fifteenth day of the same month is the feast of unleavened bread unto Yahweh: seven days ye must eat unleavened bread. In the first day ye shall have an holy convocation: ye shall do no servile work therein. But ye shall offer an offering made by fire unto Yahweh seven days: in the seventh day is an holy convocation: ye shall do no servile work therein,” Leviticus 23:6-8. This Feast lasts seven-days and includes holy gatherings on the first and last day. The phrase “holy convocation” comes from the Hebrew qodesh miqra and refers to a sacred or called-out meeting. Based on verse 2, this meeting belongs to the one who established these days in the beginning, and He is Yahweh, our Father in heaven. The Israelites began traveling out of Egypt on the first day of this Feast. Scripture says that they left Rameses on the 15th day of the first month. While they had won their freedom on the night of the Passover, they physically departed on the first day of this Feast. We are commanded to abstain from leavening or yeast during this time. The Israelites left Egypt in haste and were unable to leaven their dough. Accordingly, we are to abstain from leavening. Leavening often represents wickedness, malice, false beliefs, hypocrisy, corrupt politics, and sin. When Israel left Egypt, they left the sin of Egypt and the world behind. Paul states here that the Messiah represents the first fruits of those resurrected. Our Savior was the first among mankind to be resurrected to eternal life. So through his resurrection the Messiah fulfilled the firstfruits sacrifice that was offered during this Feast. Do you see how the Old and New Testament harmonize? The concept of the Old Testament as a dead book could not be further from the Truth. Ask yourself, what Bible did the Messiah and his Apostles use? To the surprise of many, it wasn’t the New Testament; Yahshua and his Apostles used the Old Testament as their source for truth. The New Testament wasn’t canonized until 325 CE. This means that there was no official New Testament until 300 years after the Messiah. It was not even written until after Yahshua was resurrected. The next Feast to discover is the Feast of Weeks or Pentecost: “And ye shall count unto you from the morrow after the sabbath, from the day that ye brought the sheaf of the wave offering; seven sabbaths shall be complete: Even unto the morrow after the seventh sabbath shall ye number fifty days; and ye shall offer a new meat offering unto Yahweh…And ye shall proclaim on the selfsame day, that it may be an holy convocation unto you: ye shall do no servile work therein: it shall be a statute for ever in all your dwellings throughout your generations,” Leviticus 23:15-16, 21. To establish this Feast, Israel was to count seven complete Sabbaths. This count began on the morrow of the weekly Sabbath that fell during the Feast of Unleavened Bread, meaning a Sunday start of the count. This is where the Jews derive the name Shavuot, which in the Hebrew language means weeks. We also see that this day is a holy convocation. This special appointment is also tied to agriculture; it represents the time of the wheat harvest. Because wheat had more value than barley, in some ways this was a greater harvest than the previous barley reaping. We also know that on this day in the Old Testament that they prepared two leavened loaves that were presented or waved before Yahweh as a firstfruits offering. Many speculate as to what these loaves symbolized. Some maintain that they signify the Old and New testaments; others believe that they typify Jew and gentle. It’s also possible that they correspond to the giving of the Law in the Old Testament and the outpouring of the Holy Spirit in the New. How do we know that the Law was given on this day in the Old Testament? We don’t have absolute proof, but what we do know is this: (1) according to Rabbinic belief the Law was delivered on this day and (2) the Bible does show that Israel was at Mount Sinai during this time, Exodus 19:1. The Apostles were obediently observing the day of Pentecost or as we find in the Old Testament, the Feast of Weeks. A key question is, why were they still observing an Old Testament Feast Day, especially after the Messiah’s death? Aren’t we told that the Feasts are no longer necessary, that they are old and archaic and of no value in the New Testament? On the contrary. These days that Yahweh our Father in heaven commanded in the Old Testament are of as much value today as they were then. The disciples were there to worship Yahweh in one accord on His Feast Day according to His command. We see here Yahweh poured out His Holy Spirit upon those gathered. Those who were present received the gift of tongues. “Tongues” comes from the Greek glossa and means “a known language.” This word refers to an actual, known language. We now learn that the Feast of Weeks or Pentecost foreshowed the outpouring of Yahweh’s Holy Spirit. Why would our Father select an Old Testament Feast during which to provide this heavenly gift? The fact that He poured out His Spirit on this day shows unequivocally that these times still have meaning and purpose in the New Testament. The next Feast we find in the word is the Feast of Trumpets: “Speak unto the children of Israel, saying, In the seventh month, in the first day of the month, shall ye have a sabbath, a memorial of blowing of trumpets, an holy convocation. Ye shall do no servile work therein: but ye shall offer an offering made by fire unto Yahweh,” Leviticus 23:24-25. Notice that this Feast falls on the first day of the seventh month. Why is this important? The Biblical month begins with the crescent moon, which while not a Sabbath or high day, is a time of fellowship and worship. Now the seventh month is also a special time since it holds four of the seven Holy Days. So not only does this Feast coincide with the new moon, but also ushers in one of the most important months of the Biblical year. How was this day observed in the Old Testament? First, it was a day of blowing of trumpets. Second, it was a holy convocation. And third, it was a day on which Israel was to abstain from work. Our Savior will first descend from heaven with a shout, the voice of an archangel and with the trumpet of Elohim. The trumpet is symbolic of this Feast. So most likely Yahshua’s second advent will take place on the Feast of Trumpets. As Yahshua descends, the dead in Messiah will rise to meet him in the clouds. After that those who are yet alive will be changed to spirit essence and will meet the Messiah in the air and forever be with Him. Imagine this day happening in our lifetime! Imagine being changed from flesh to spirit? Can you fathom being with our Savior forever? This is the promise that this day foreshadows. Paul explains this transformation in more detail: “Behold, I shew you a mystery; We shall not all sleep, but we shall all be changed, In a moment, in the twinkling of an eye, at the last trump: for the trumpet shall sound, and the dead shall be raised incorruptible, and we shall be changed. For this corruptible must put on incorruption, and this mortal must put on immortality,” 1Corinthians 15:51-53. Paul mentions a trumpet here in connection with Yahshua’s coming and the resurrection of the saints. In fact, he refers to the last trumpet, likely symbolizing this Feast. At this time the believer will be changed instantaneously. They will go from corruptible flesh to incorruptible spirit essence; from mortal to immortal. As we find in the Greek, the chosen will receive unending existence in a state of deathlessness. This promise of Yahshua’s coming and of the resurrection is a prophetic foreshadowing of this Feast and one reason that this time is so important to understand and observe. The Day of Atonement follows Trumpets. This day is special for many reasons; notwithstanding the fact that Israel found forgiveness from their sins on this day. The Day of Atonement, or as it is called in Hebrew, Yom Kippur, is observed on the 10th day of the 7th month. Israel was explicitly commanded to afflict their souls by fasting on this day. A scriptural fast is to abstain from both food and drink to show complete honor and devotion to the One we worship. On this day Israel also found atonement or cleansing from their sins. “Atonement” comes from the Hebrew kaphar and is a primitive root meaning “to cover.” From the New Testament we find that the sacrificial system in the Old was only able to cover sin — it could not wash away or completely remove sin. While many believe that this day foreshadows Yahshua’s death and our atonement, it possibly foreshadows something entirely different. The challenge with Yom Kippur symbolizing Yahshua’s death is that it was on the Passover that Yahshua died and shed His blood for mankind. In other words, this prophetic fulfillment occurred with the Passover. This being the case, reason dictates that this Feast must foreshadow something other than Yahshua’s death. On this observance in the Old Testament we read that Israel took a scapegoat and laid upon it all the sins of Israel. What’s intriguing about this scapegoat is that it wasn’t sacrificed, like the Messiah in the New Testament. Instead, a fit man was to take the scapegoat into the wilderness, removing it from the camp. This scapegoat might foreshadow Satan the Devil. In the apocalypse of John, or more correctly Yahshua, we find that Satan will be cast into a bottomless pit for the duration of the one-thousand year millennial Kingdom. “And I saw an angel come down from heaven, having the key of the bottomless pit and a great chain in his hand. And he laid hold on the dragon, that old serpent, which is the Devil, and Satan, and bound him a thousand years, And cast him into the bottomless pit, and shut him up, and set a seal upon him, that he should deceive the nations no more, till the thousand years should be fulfilled: and after that he must be loosed a little season,” Revelation 20:1-3. Just as a fit man took the scapegoat into the wilderness, here a mighty angel will cast Satan into a bottomless pit where he will remain for the duration of the 1000-year millennial Kingdom. This prophetically seems to correspond to what we find with the Old Testament scapegoat. This also chronologically occurs after the return of Yahshua the Messiah, likely occurring on the Feast of Trumpets. In essence, the scapegoat in the Old Testament prophetically foreshadows the removal of Satan from mankind at Yahshua’s Second Coming. Once Satan is bound the millennial Kingdom begins, which is symbolized by the Feast of Tabernacles. This Feast is similar to the Feast of Unleavened Bread; it too is seven days in duration. It begins on the 15th day of the 7th month and includes a holy convocation on the first day. During this time we are commanded to stay in booths, a word derived from the Hebrew sukkah meaning a temporary dwelling. If you are able to physically travel, staying at home during this feast is not an option. This special appointment represents the one-thousand year span in which our Savior will reign over the earth with those from the first resurrection. During this time Yahweh’s commandments will govern this world, meaning all of mankind. The main purpose of the coming kingdom will be to restore righteousness to the earth and to prepare it for the day our Father Yahweh Himself will establish His throne at the golden city, New Jerusalem. In the Old Testament we find a prophecy about this kingdom. “But in the last days it shall come to pass, that the mountain of the house of Yahweh shall be established in the top of the mountains, and it shall be exalted above the hills; and people shall flow unto it. And many nations shall come, and say, Come, and let us go up to the mountain of Yahweh, and to the house of the Elohim of Jacob; and he will teach us of his ways, and we will walk in his paths: for the law shall go forth of Zion, and the word of Yahweh from Jerusalem. And he shall judge among many people, and rebuke strong nations afar off; and they shall beat their swords into plowshares, and their spears into pruninghooks: nation shall not lift up a sword against nation, neither shall they learn war any more. But they shall sit every man under his vine and under his fig tree; and none shall make them afraid: for the mouth of Yahweh of hosts hath spoken it,” Micah 4:1-3. In Scripture “mountain” represents a Kingdom or nation. Here Yahweh’s kingdom will be established or exalted above all other kingdoms of the world. His commandments will also go out to all nations. Unlike today, Yahweh’s Word will be the guiding light and standard of morality. No longer will man dictate what is moral or not moral, what is proper or not, what is politically correct or not. Instead Yahweh’s Word will be that measure. His laws will be the constitution of the world. Since Yahweh’s laws will govern everywhere in the future, should we not be obeying them now? Especially since we know that the Messiah and His Apostles also observed and kept them in the New Testament. We also learn here that men will no longer engage in war. Instead new uses will be found for weapons of war. After this, every man will sit under his own vine and fig tree. Not only will Yahweh’s laws finally be observed on this earth, but we also find that mankind will go back to an agricultural life, similar to the Garden of Eden. In the kingdom, life will change drastically. No longer will the world be plagued by widespread immorality, like abortion; no longer will we see the atrocities of war; and no longer will man be free to live a life of sin without immediate consequences. 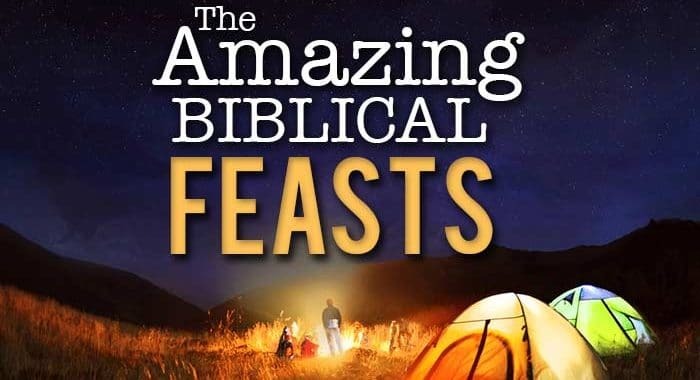 This Feast immediately follows the seven days of the Feast of Tabernacles. Possibly its most significant aspect is marking the end of Yahweh’s days of worship. This Feast likely foreshadows the last and final judgment of mankind. As the Feast of Trumpets symbolizes Yahshua’s Second Coming and the first resurrection, the Last Great Day foreshadows the final judgment of man and the redemption of the faithful. John on the island of Patmos provides a prophecy of this final judgment: “And I saw a great white throne, and him that sat on it, from whose face the earth and the heaven fled away; and there was found no place for them. And I saw the dead, small and great, stand before Elohim; and the books were opened: and another book was opened, which is the book of life: and the dead were judged out of those things which were written in the books, according to their works. And the sea gave up the dead which were in it; and death and the grave delivered up the dead which were in them: and they were judged every man according to their works. And death and Hades were cast into the lake of fire. This is the second death. And whosoever was not found written in the book of life was cast into the lake of fire,” Revelation 20:11-15. This time is known as the Great White Throne Judgment and the second death and will be final for the unrepentant. 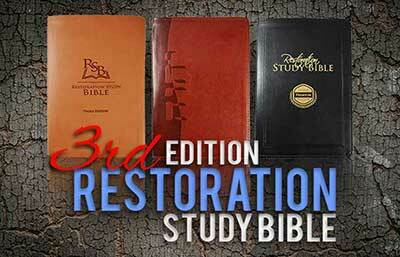 Except for those in the first resurrection, which Scripture declares will be exempt (Rev. 20:3), all of mankind will stand before the great judgment seat? What will be the standard by which Yahshua will judge mankind? Verse 12 says that all will be judged based on their works. Many believe that because of Yahweh’s grace that we shouldn’t be concerned about works. Many even view works as bad, being a form of legalism. Our views and opinions must conform to Scripture, however. Scripture says that all mankind will be judged based on their works, and how they lived here on earth. The standard will be the Scriptures and how they measured up. Yahweh gave His Scriptures to live by and will judge on how closely we followed them. Millions will wish they had taken the teaching of the Feasts seriously back when keeping the Biblical observances and obeying the other laws was a free choice that relatively few took to heart. Had they done so, their blessings would have been far greater at their resurrection. They could have been among the priests ruling in Yahshua’s Kingdom. Ezekiel’s prophecy about those who rebelliously serve their own lusts and desires stood as a Biblical warning for thousands of years: “Then shall you remember your own evil ways, and your doings that were not good, and shall loathe yourselves in your own sight for your iniquities and for your abominations” (Ezek. 36:31). And what about those who perhaps in ignorance do not obey the Feast command in the Millennial rule of Yahshua? The prophet Zechariah says: “And it shall be, that whoso will not come up of all the families of the earth unto Jerusalem to worship the King, Yahweh of hosts, even upon them shall be no rain” (Zech. 14:17). Famine! Death! One will either keep the Feasts of Leviticus 23 or one will suffer awful plague. In keeping the Feasts, which revolve around the harvest seasons, we rejoice in the abundance of the earth’s produce. Anyone refusing to do so in the Millennial reign will suffer just the opposite – starvation resulting from drought. Those who stubbornly resist will also feel the sting of the rod of iron administered by those who have been resurrected to priesthood and who rule under Yahshua, as we have seen. The entire planet will be in harmony with Yahweh once more, as it started out in the Garden of Eden. All of nature will return to an Edenic harmony and consequent beauty as earth’s people’s submit to their Creator in a way that hasn’t been seen since Adam and Eve before their rebellion. It will be His way or no way. No excuses. No questioning. No compromising. No promises of “some other time, I’m too busy right now” when the Feasts roll around. No more “maybe next year when I’m ready.” Yahweh will accept nothing short of immediate, complete obedience from everyone. One will either submit or suffer the wrath of the Mighty One of the universe! This tells us volumes about how important He views His commanded observances. What would you do in that day? Resist…or humbly comply? The important question is, what are you doing NOW, knowing that Yahweh’s Feasts are so imperative that they will soon be enforced around the world? Do you want to be in that Kingdom reign, or suffer from no rain as you are forced to learn Yahweh’s ways at that time? First, realize that the Feast days were given to Moses on Mount Sinai to pass on to Israel (see the Book of Leviticus, along with the last verse, which reveals that Moses was given all the law, not just the Ten Commandments on Sinai). Israel was composed of 12 tribes, only one of which was known as the Jews, the tribe of Judah. The 11 other tribes were not Jews, but Hebrews, who were collectively known as Israel. All 12 tribes stood at the base of Mt. Sinai to receive Yahweh’s laws and agreed to His covenant,Exodus 19:1, 5-6. Therefore, the requirement was given to more than the Jews. The entire nation of Israel received the statutes and judgments and the Jews were just a fraction of the 12-tribed Israelite nation. The Scriptures make it clear that we are to become spiritual Israelites. That means we do what Israel did and live by the same laws Israel did. Paul wrote, “Who are Israelites?” Then he answers his own question, “To whom pertains the adoption, and the glory, and the covenants, and the giving of the law, and the service of Yahweh, and the promises” (Rom. 9:4). The original covenant was made with Israel and no one but Israel. 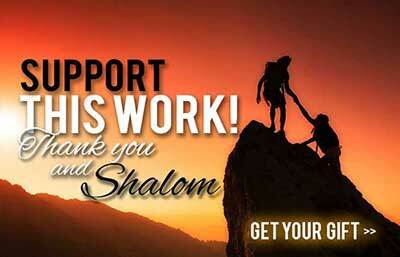 What most fail to understand is that Yahweh is still working with and through Israel. Others have a part in the promises only by special adoption, as Paul reminds us. Yahshua’s disciples clearly understood this fact. Just before His ascension they approached Him and asked, “Master, will you at this time restore again the Kingdom to Israel?” (Acts 1:6) They did not comprehend His timetable, but they did understand that He was working with those known as Israel. Others who want a part in the salvation promise must become spiritual Israelites (Rom. 9 and11) and abide by the same covenant agreement Yahweh made with Israel. That agreement included obedience to all of Yahweh’s laws given at Sinai – including the Ten Commandments and Feast days. Yahshua never changed the core terms of the covenant agreement with Israel when He came to earth. He said He did not come to destroy the law but to fulfill it, Matthew 5:17. Fulfill means to meet the law’s requirements. What Yahshua did was to open the way for those outside of Israel to come into the same promise by taking hold of the same covenant Yahweh made with Israel – now it’s a RENEWED covenant commonly known as the “New Testament.” The basic terms of that covenant are still the same: obedience to His laws (see Hebrews 8, Romans 7:1, Acts 24:14). Another reason that the argument, “They’re Jewish Feasts,” falls flat is found in many passages, including Leviticus 23:2: “Speak unto the children of Israel, and say unto them, Concerning the feasts of Yahweh, which you shall proclaim to be holy convocations, even these are my feasts.” This verse in the law tells us exactly whose Feasts they really are: the Feasts of Almighty Yahweh. Prior to listing each of the seven annual appointments, Yahweh declared this important introduction, “These are the feasts of Yahweh, even holy convocations, which you shall proclaim in their seasons” (Lev. 23:4). If these Feasts are just for Jews, then in the Millennial Kingdom only Jews will be required to observe them. But we have seen that in the Kingdom the whole world will be keeping them at their appointed times. Only later in the New Testament did they begin to be referred to as Feasts of the Jews because the Jews were the one Israelite tribe still faithful in keeping them. The rest of the Israelites were derelict, being scattered throughout other nations and taking up heathen holidays, as we find in James 1:1; 1Peter 1:1, and John 7:35. To keep the Feasts or not to keep them — that is the choice set before each of us today. It is our decision, and the appropriate consequences will follow our choice. Bear in mind that when Yahshua returns, ALL will comply or face plague (Zech.14:16-19). May you make the right choice, pleasing your Father in heaven and gaining His favor for the blessings of an eternity. Posted in Paganism in Modern Holidays, Biblical Feast Days. I thank the almighty God through Jesus Christ for this revelation. I love the living God and just want to do what’s right as revealed by the word of God. Thank you Soo much. May God continue to bless your ministry.